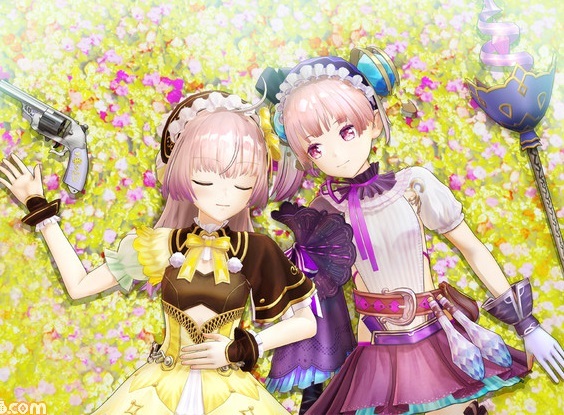 Atelier Lydie & Suelle: The Alchemists and the Mysterious Paintings is the first Atelier game in which there are dual protagonists of the same gender. We’ve had plenty of Atelier games with a single female lead, and the occasional Atelier with a male and female working together, but Lydie and Suelle will be the first all-girl protagonist team. Related reading: For another interview with Gust, check out Matt's interview with Junzo Hosoi around Blue Reflection from earlier in the year. They’re also very young – 14 years old in the Japanese version (odds-on bets that the age be lifted to appease the western censors) – and, most importantly of all, sisters. For a series that is all about the characters, and when the games are judged on whether people love the characters, this is a major departure for the series, and will have a significant impact on the overall tone of the game. Having played Atelier Lydie & Suelle’s TGS demo, I can confirm that it does indeed feel like a fundamentally different experience to its trilogy predecessors, Firis and Sophie. While it’s difficult to get a sense of the dynamics between the characters from a ten minute (combat heavy) demo, the atmosphere of the game seems to be heavily weighted towards a sense of wonder and magic, which is a perfect parallel for a game that’s a coming of age story of two girls and all the wonder and excitement in growing up. That sense of wonder is created through the game’s core approach to level design; the ability to jump into paintings. 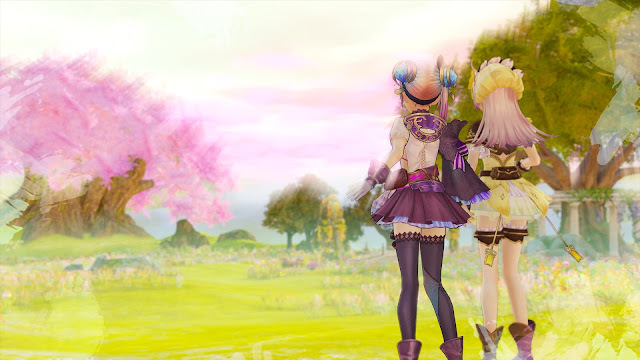 Atelier Lydie & Suelle offers players a central “hub” world, where life is normal and everything looks as realistic and natural as can be expected for an anime-themed game. But then they jump into a series of magical paintings and are transported to a world of simmering unrealism, where there are enemies to fight, rare ingredients to find, and mysteries to explore. According to Hosoi it was a very deliberate decision to break the game into separate sections; one with action and adventure, and the other being very slice of life-based. In doing this the development team has been able to emphasise what really makes the Atelier series different – and special – for fans. “Atelier series are usually about the slice of life games, and even though they’re RPGs they’re not about defeating monsters, it’s about goals that you want to do and daily life elements that come into play,” Hosoi said. At the TGS demo, the one painting I had access to had a beautiful impressionist style to it. Looking similar in style to an artist like Monet and his watercolours, I got to explore a world that was bright and colourful, even by Atelier’s bright and colourful standards, and that left me wondering if other paintings in other parts of the game would emulate different genres and periods of art. According to Hosoi there will be differences in how each painting’s world looks, but the development team stopped short of giving players a lesson in art history along the way. “We don’t have levels that look like a Jackson Pollock or M.C. Esher sketch,” he laughed. “The one we chose for the TGS demo was very much in that impressionist style. But while the lighting and the way things are shown will change from one painting to the next, so there is variety between them, there’s a consistency in the approach that we took with them. What is undeniable about the art is that it is beautiful. The environments are vivid and interesting, but they pale compared to the character designs, which really feel like Gust has outdone itself. 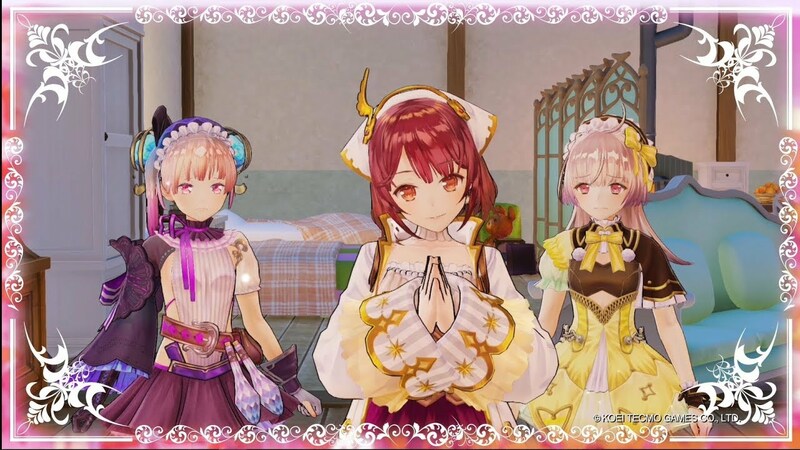 Last year the company was promoting heavily that the three games it was releasing (Atelier Firis, Blue Reflection, Nights of Azure 2) were the 'beautiful girl' trilogy, and with the designs in Atelier Lydie & Suelle it’s easy to wonder whether the 'beautiful girl' was the new M.O. and focus for Gust game development. “Last year when we did the beautiful girls trilogy, we wanted to find a common element to those three games, and they just all had beautiful girls, so that became the reason we branded what we were doing that way,” Hosoi said. Gust is such a prolific developer, and has done so much as part of Koei Tecmo already, that it’s easy to forget that the company was only acquired by its parent four or so years ago. One of the interesting things that I have observed over the years that I’ve been talking with Gust (and I do meet with them every year that I’m at TGS), is that there’s something of a flux in personnel in the company at the moment. One of Tecmo’s veterans, Kikuchi Keisuke, first worked on a Gust game as producer of Nights of Azure, and he now holds a formal title at Gust as its Associate Head of Gust Entertainment Division (he maintains a seat at the Tecmo table, too – busy fellow). Hosoi I’ve only spoken to the first time this year, meaning that the Atelier series has new blood in the production leadership behind this series. This would indicate that after a few years where the Gust team was kept distinct from Koei Tecmo, there’s greater intermingling of staff occurring now. And that made me wonder if it explained the fairly experimental nature of this current Atelier trilogy. 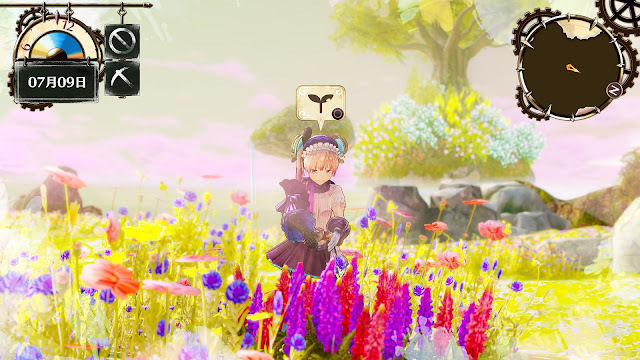 The previous two trilogies – Arland and Dusk, were quite consistent – there was some fiddling around the edges to the mechanics from one game to the next, but they were fundamentally similar in structure and design. This Mysterious trilogy, however, has games that vary significantly from one another. 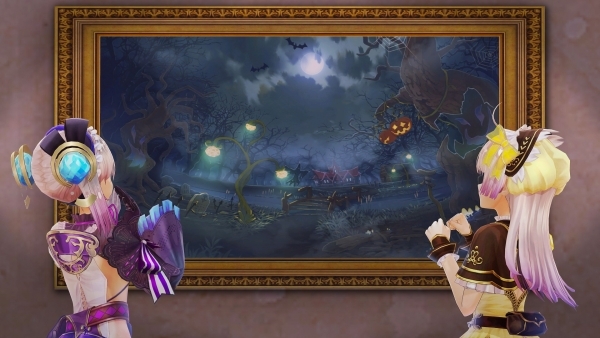 Atelier Firis has an open world that makes it an entirely different experience to Atelier Sophie, and Atelier Lydie & Suelle’s painting mechanic gives it an entirely different tone again. It’s easy to imagine that the experimentation with the Atelier series is a result of Gust’s increasing cross-pollination of staff with its parent company. But, according to Kikuchi, the fundamentals of Atelier will forever be the same. “The basic theme that we do carry through the Atelier series is a daily life," he said. "With Firis we wanted to explore the idea of ‘what if we took the very unusual and made it the norm, and how would fans react to that,’ so we set ourselves a challenge there to see how it would resonate with players. Related reading: Matt's review of the previous Atelier title, Atelier Firis, released earlier this year. 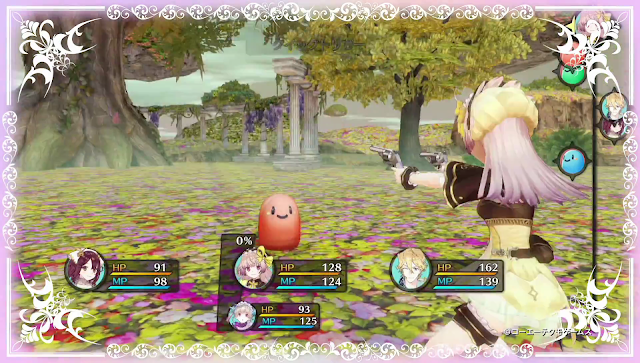 “With each Atelier game we do take the feedback from the fans and incorporate that into the next game. At the same time there are things that the developers want to try too, so we look to strike a balance between what the developer team and fans want with each title. It’s not really about doing something too drastic to shake the balance, but constantly refine that balance and expectations for the Atelier series. One other thing that we’re starting to see with Gust is an increasing cross-pollination in IP with the rest of the Koei Tecmo stable. Warriors All-Stars had a significant presence from Gust characters, for example. As the company group’s resident JRPG specialist, it begs the question of whether we’ll start to see some of the Koei Tecmo IPs head over to Gust’s developers for projects. So I had to ask: A Marie Rose Atelier game. It would be perfect, right? I really, <i>really</i> want to have Marie Rose as her own lead in a game, and she's the kind of adorably cute character that Gust would do justice to.